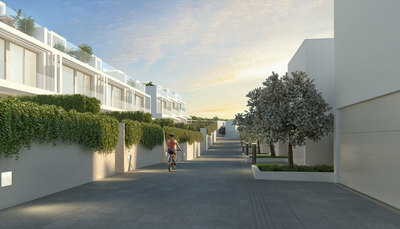 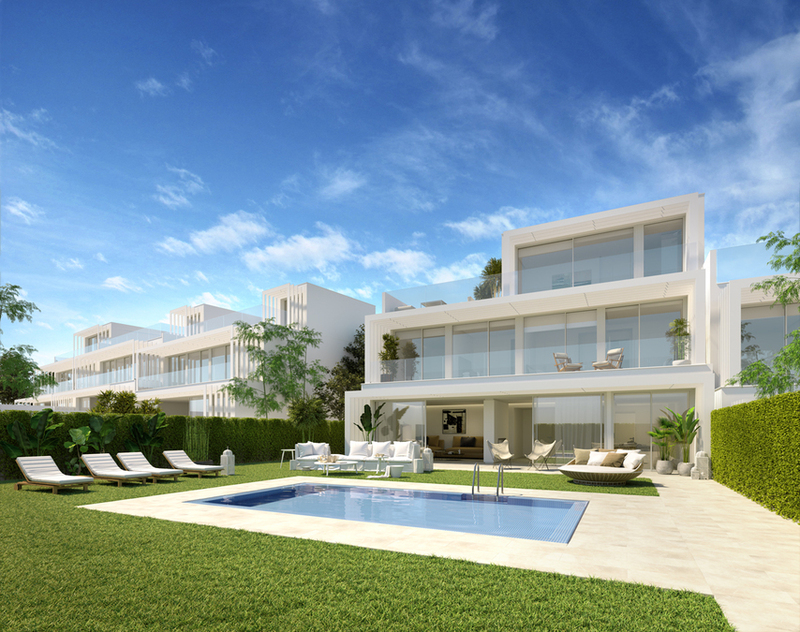 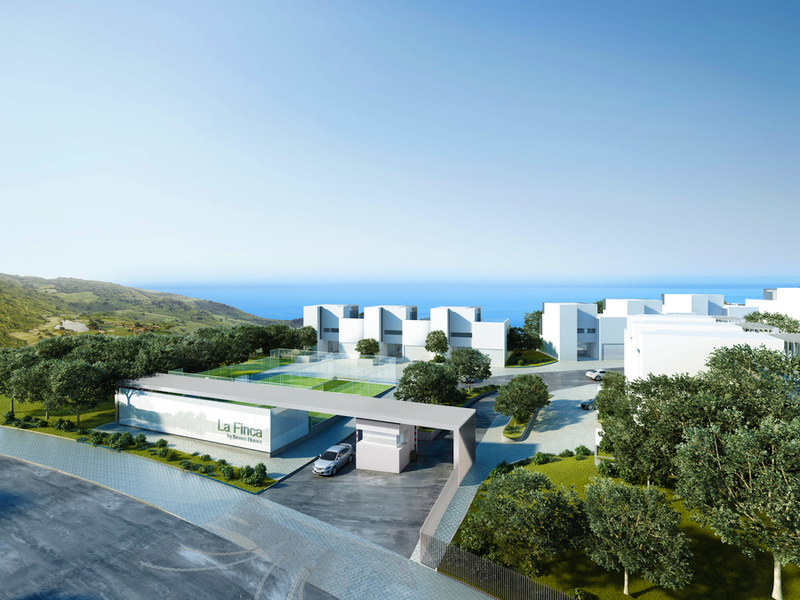 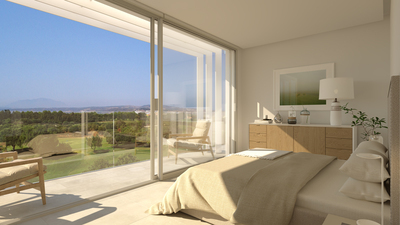 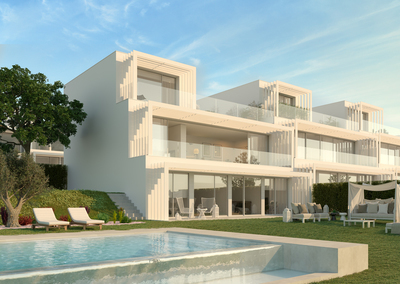 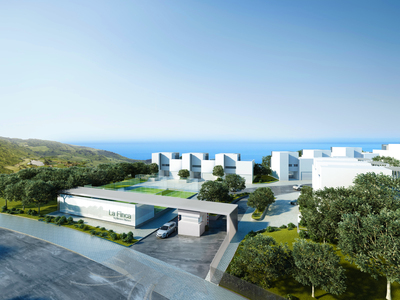 This is a brand new development of contemporary golf villas for sale in Sotogrande. 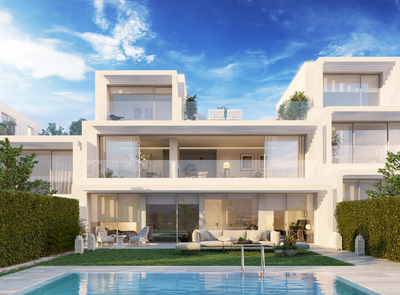 These stunning new luxury golf villas are set within an extremely desirable family friendly environment protected by 24-hour security. Residents have exclusive access to a host of onsite amenities including swimming pools, a gym, paddle tennis courts and even a running track. 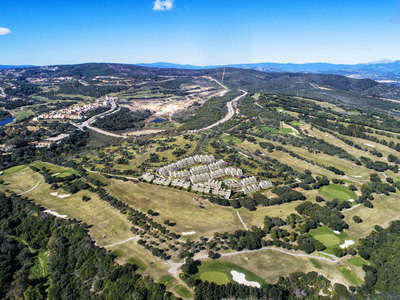 Sotogrande is situated in Cadiz and it is one of the most sought-after private developments in Southern Spain, attracting golfers, celebrities, polo enthusiasts and European royalty. Sotogrande is famed for its excellent recreational facilities including 5 golf courses, of which Ryder Cup Tournament host Valderrama is arguably the most famous, polo, sailing, restaurants and shops. There is also the 5-star marina with 1,400 berths and two fantastic beach clubs within the local vicinity. Designed by renowned architect Rafael de La Hoz, these stunning villas have been designed to make a real statement. 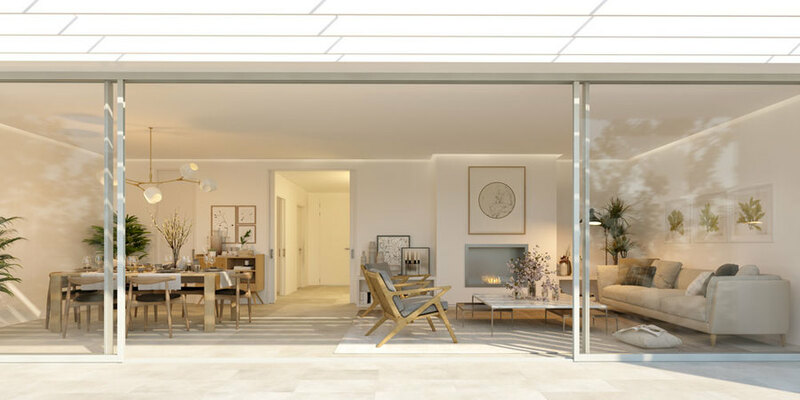 One of the standout features is the liberal use of glass to ensure the interior space is flooded with natural light, blurring the line between the inside and out. 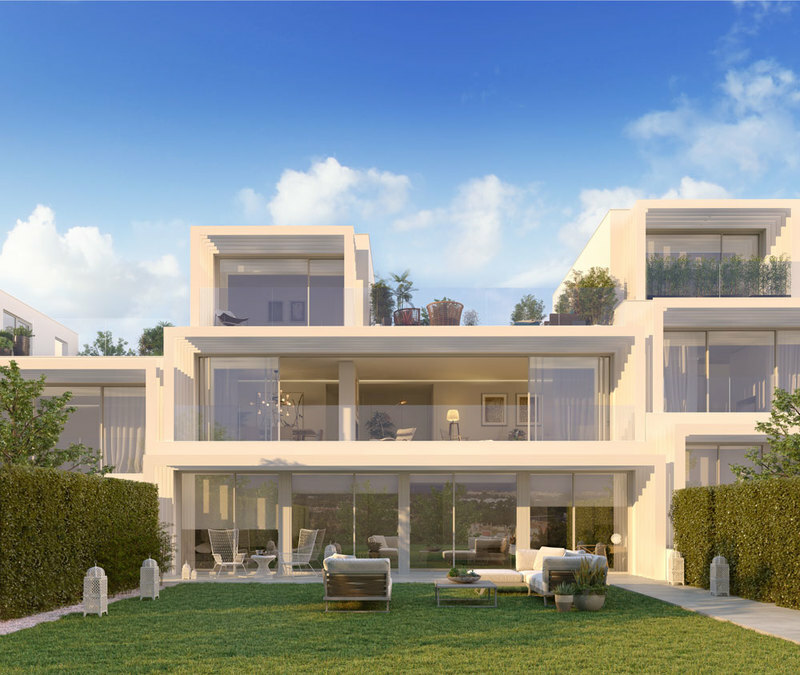 They are available in a choice of 3, 4, 5 or 6 bedrooms and each boasts extremely generous private gardens with stylish decking and lawns and terraces and solariums ranging from 57m² to 135m². 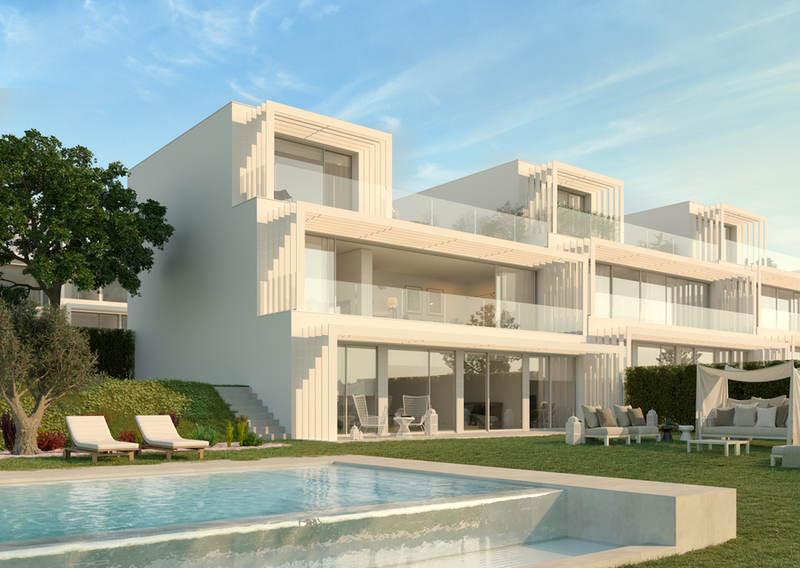 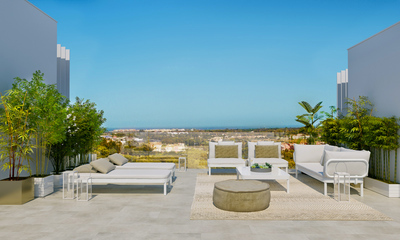 As expected from contemporary Sotogrande villas of this calibre, fixtures, finishes and modern conveniences are part of the package, including under floor heating and air conditioning. 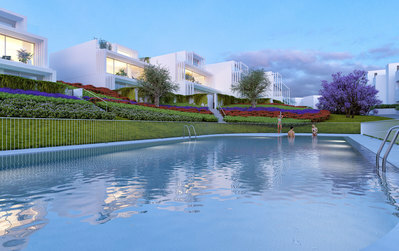 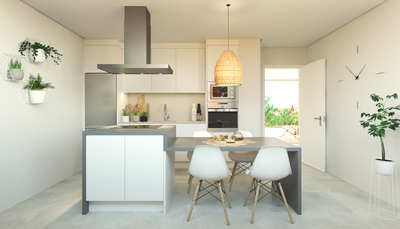 Set in large private plots, The villas enjoy open plan living, dining and kitchen areas, with floor to ceiling glass doors leading out the private gardens and pool areas. All the bedrooms are large double rooms with fitted wardrobes and private terraces with beautiful views. 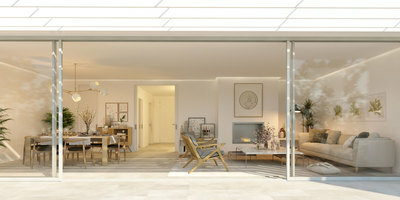 There are also modern fully tiled bathrooms with underfloor heating. 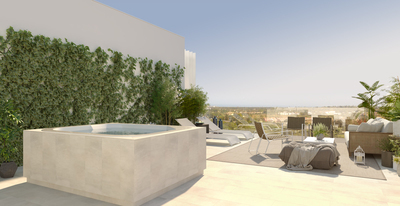 To the top floor, there is a full-size rooftop solarium with Jacuzzi and views out to sea.